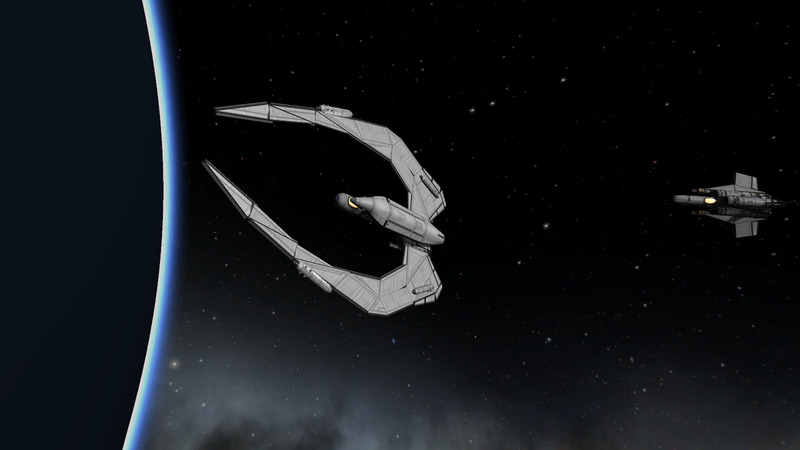 A stock aircraft called Cylon Raider Mk2. Built with 169 of the finest parts, its root part is mk2DroneCore. 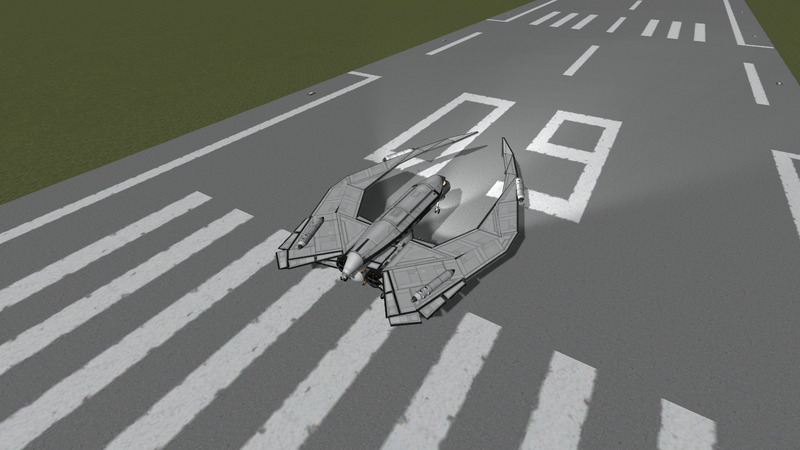 It’s flyable, dockable, will do SSTO and is quite manouverable, although the aerodynamics are a massive compromise to get the center of lift behind the center of mass. 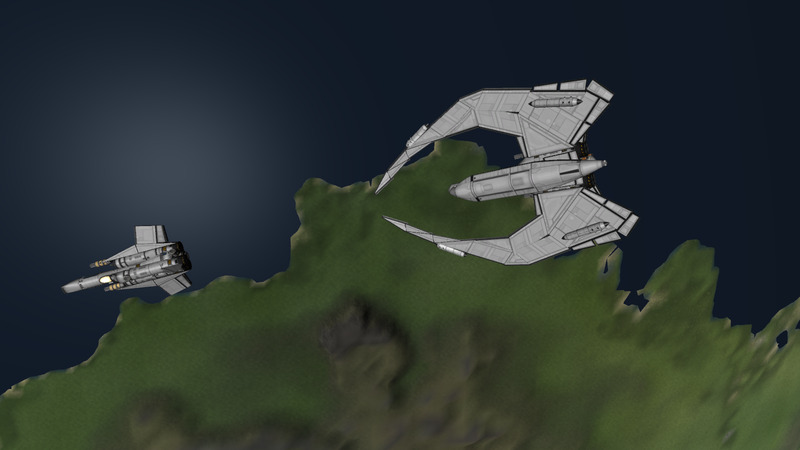 It works well with the Viper Mk2 I’m publishing seperately and size wise they are comparable. Bind 1 to toggle intakes and closed/airbreathing for the engines. Bind 2 to toggle the RAPIERS between on and off. Bind 3 to toggle the Twitch engines on and off. F1 toggles the engines between air breathing and closed cycle. F2 toggles those engines on and off. F3 toggles the small twitch engines, you will need these to get enough velocity to get the R.A.P.I.E.RS working at proper efficiency to achieve orbit.